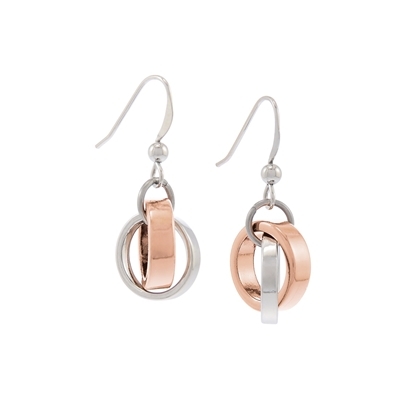 Add the perfect FAC embellishment to complete your look when you wear our lovely two-toned “You’re Set” earrings. Sterling silver hooks. Nickel and lead free.